This March, the WIAA will be celebrating its 100th Boys State Basketball Championships, and to help get the public excited about the upcoming event, schools across the state are putting together local celebrations that not only honor the entire program, but will also commemorate all of the players that have come and gone through their own programs throughout the years. 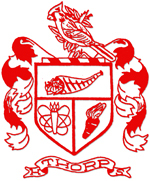 For Thorp High School, that event took place on Saturday, Jan. 3. Thorp High School was filled with nostalgia and camaraderie on January 3, as the 2014-2015 Cardinals hosted a WIAA 100 Years of Boys’ Basketball alumni event at Tetzner Gymnasium. Thanks to the extensive efforts of Head Coach and former Thorp basketball alumni Rich Sonnentag as well as the collaboration of the Thorp Alumni Association (TAA), the evening was filled with memorabilia, reminiscing, and of course, basketball. Click here to read more about the event and view pictures. In the weeks leading up to the momentous celebration on January 3, The Thorp Courier took a look back at some of Thorp High School's most memorable seasons in the boys' basketball program, periodically featuring select groups of boys who brought the community together through the sport. While many seasons of the years gone by are seen as a compilation of stats and figures, this series featured the historical influences and personal memories of the men who have lived through each unforgettable season first hand.